At present, smart phone and tablet PC sweep around the world, and the emerging mobile devices also drive the cloud computing and service, what’s more, personal cloud will be the core of digital age after replacing PC. “PC is not the center of digital world any more. Following users start looking for devices being more convenient, more personality and more easy to use, iPad will be the typical in the time of PC revolution”, says CEO Tim Cook's. With the consumption development of IT，people who can endure without PC, laptop ipad, and smart phone whatever be in office and home become less and less. We must admit these devices have break zone limit already, no matter what you are in home, office or even in coffee house, Internet give what you wanted. Which is providing one fertile soil for personal cloud. Who indeed need personal cloud you must ask me? The answer is all. For example, many SNS platforms can’t open the function of saving chat history in cloud and even VIP just store limited chat history, But now you just need save your chat history in synchronizing directories, all your problems can be solved. Who have need to share pictures, files and videos with their friends and office staff is the largest group to desire cloud. 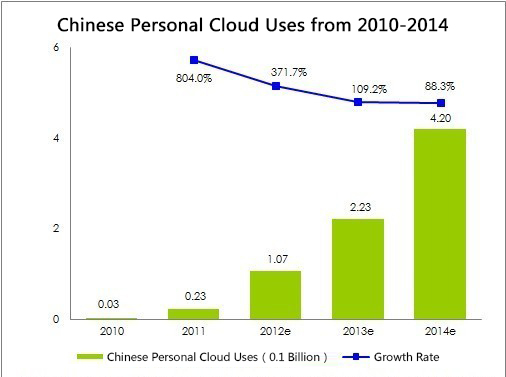 Data from Allied Business World, HIS iSuppli show that new register users of cloud storage has surpassed 5 billion in the global from January 2012 to August 2012, and the growth rate has no sign to slow down. It is estimated that new register users will reach to 13 billion in the year of 2017 at an alarming pace. ( Of course, the register user is different from new user, after all there are some to register many accounts) Since people all over the world are fond of cloud storage products ，If you still have none，Let‘s us pick one after reading this review article between PocketCloud and xCloud. PocketCloud APP focus on remote desktop，pay more attention to remote control software in computer，such as，PPT,PPS, Internet Explorer etc. However, the other two function including files transmission and personal cloud share is not so mature and convenient as the remote desktop, the up/download speed is limited, especially free users just enjoy limited speed and storage space. So the PocketCloud is more suitable for some who really have need to remote control desktop and would like to pay for it. xCloud’s main highlights is P to P transfer, download and upload your pictures and files from PC to phone. The speed can surpass 10MB/S under 300M and 450M WiFi. There is no the third server to store your data, so the safety is trusted more than Dropbox. xCloud also is favored by users loving to transmit files and pictures, especially Shot and Send, uploading pictures to your computer automatically after finishing taking photos is very hot in Chinese teenage. PocketCloud has three packages, and you have to install VNC into your computer to work it successfully. That’s mean you need to download three times if you want to use all functions. All functions are assembled one package, when finishing download xcloud from Google play, you can use Shot and Send, Auto upload and other functions. Besides, the install procedure is very sample without any settings. PocketCloud provides a thirty-day free trial for the public, but the transfer speed is limited within 25 MB ,and the storage space is limited within 2 GB for free version. xCloud is one totally free APP for Android version by now, even VIP fee is just 4.99 $ which is more cheaper than similar cloud products a lot. Play audio and video just support IOS users for PocketCloud. But xCloud is available for both Android and IOS about play audio, and Android market is the biggest. However, xCloud don’t open function of playing video until now, this is undoubtedly a advantage for PocketCloud . Meanwhile, the price is not low. Certainly, there are a lot of similarities and differences about both of APP, each has its personal points and stress, you can choose one really suitable phone cloud APP according to functions and charges which is you more prefer. Currently, enjoying cloud life is one fashion trend with the arrival of cloud time. Many is building cloud life belonging to themselves, and the emerging of cloud is changing our daily life silently. It is one happy thing to share pictures, files, videos ect. with your friends and families anytime and anywhere when you are out of home, and all data still be in your control.